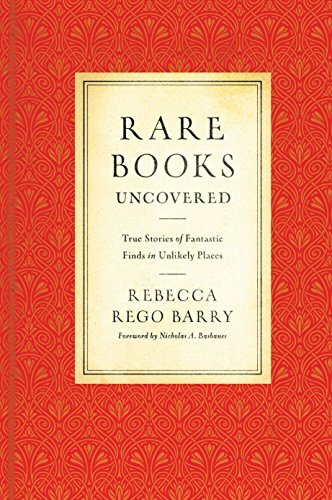 Rebecca Rego Barry is the author of Rare Books Uncovered: True Stories of Fantastic Finds in Unlikely Places and the editor of Fine Books & Collections magazine. Her writing has also appeared in The Guardian, JSTOR Daily, The Awl, The Millions, and The Barnes & Noble Review. Find her at rebeccaregobarry.com. Of late, publishers and authors have begun to experiment more with audio as a natural step in the promotion of their books. Listening to music has always been an organic piece of literary consumption — anyone who has queued up a favorite record of sad ballads while reading a heartbreaking novel, in order to up the emotional catharsis can attest to that. But recent trends suggest that readers are looking for even more direct ways to incorporate music into the reading experience. At readings for You Must Go And Win, Simone also performed her songs live, and since then, all of her appearances have morphed into music and literary mash-ups: She played live at benefits for the literary mentoring organization Girls Write Now, for Guernica Magazine, and at other writers’ book release parties, including Evan Hughes’ Literary Brooklyn, as well as the Brooklyn Book Festival this fall. When her book came out, Simone also contributed an author playlist to Largehearted Boy, a books and music blog run by David Gutowski. Since 2005, Largehearted Boy has run a beloved feature called Book Notes, for which recently published writers are asked to create a playlist for their novels; their song selections are explained in the context of both the writing experience as well as the characters in the story. Gutowski recently posted the 900th entry in the series, and has also started a Largehearted Lit series at WORD bookstore in Greenpoint, dedicated to authors who participated in Book Notes, plus musical guests. “There has definitely been a rise in author soundtracks as promotional items in a variety of formats,” says Gutowski. “From my experience, music is a great way to create a unique bond between writer and reader.” A number of authors have told Gutowski that writing the playlist essays are one of the most enjoyable pieces of promotion attached to their book tour. What began as a curiosity morphed into the notion that the songs she was listening to and connecting to the character of Dylan, a rising indie musician, could actually be incorporated in the book itself. Acquiring the copyrights involved clearing permissions with the artists involved, as well as the recording studios and occasionally the publisher. Clendenen also established an annual grant to an indie musician after Double Time has been available for sale for a year; the funds will be awarded to a band or artist in the form of five percent of the net proceeds from the novel. By contrast, Richard Nash is the vice president of content and community at Small Demons (and formerly the publisher of Soft Skull Press), a site that catalogs endless cultural references found in books, from music and movies to people and objects. He sees incorporating audio and other cultural reference points as a way to allow readers to truly live inside a novel. “David Gutowski made it interesting and fun and gratifying,” Nash says of how Largehearted Boy weaves music and literature together via the Book Notes playlists. “But music is but one piece of a larger puzzle,” Nash says. “That being, how do we connect books to the daily elements of everyone’s cultural lives, to music, yes, but also to movies, to restaurants, to landmarks, to drinks.” As the Small Demons database expands, authors will be able to add greater context to the details pulled out by the site, and users will be able to find links between the references in their favorite books. Nash says readers will also be able to listen to the music that the author heard while writing. “You might choose to listen as you’re reading, or as you traverse a path taken by the protagonist as she listens to that music. Or you might stop reading, and close your eyes,” he says. But on Spotify, a new digital music service that offers access to an enormous library of songs available both on PC and smart phones, both casual users and publishing companies have began to crank out playlists for books and authors. Mediabistro’s GalleyCat blog created a playlist in homage to Haruki Murakami, it offers a compilation of songs mentioned in his novels South of the Border, West of the Sun, Norwegian Wood and 1Q84. And publishers like Knopf are working directly with their authors to create custom playlists that readers can spin while they read; Jennifer Egan and Colson Whitehead are among the participating writers. If you’re reading (or re-reading) the Pulitzer Prize-winning A Visit From the Goon Squad with Egan’s Spotify mix, you’ll be listening to Death Cab for Cutie, Massive Attack and The Who. In the U.K., Spotify has worked directly with publishers to support forthcoming book launches, including James Corden’s autobiography and a book based on the television series The Inbetweeners. Is there a single claim about Shakespeare that refuses to rise from the dead? There is no reason to believe that the annotations in the Alvearie are Shakespeare’s, as I explain at https://shakesyear.wordpress.com/2014/12/26/a-bee-in-my-bonnet-two-posts-i-never-quite-finished/. Ms. Barry reports that the booksellers showed the Alvearie to scholars, but they do not say what the scholars told them. I noted in my blog post that Professor Grace Ioppolo, a noted palaeographer and Shakespeare scholar (an editor of MEASURE FOR MEASURE, among other things), was one of those they consulted. As she tweeted, she told them flatly that the Alvearie annotations are not Shakespeare’s. See https://storify.com/bibliophagist/ioppolo-on-shakespeare-s-dictionary. I conclude, as I did in my blog post, that the booksellers have not even begun to meet the burden of proof they still bear. I happened across an odd little story today. Apparently, books made of gold are a fad among the super-rich in China. There is also concern that the books, which cost upwards of $1,000 are becoming a “means of bribery,” according to a story from Xinhua, as they are given as gifts to public officials. None of the English-language stories had photos of the books so I did some searching to find out what they look like. You can see pics here and here.